A safari is one of the most memorable holiday experiences you can have. You get to see exciting wild animals in their natural environments, and you can do this in relative comfort thanks to the many guided tours that are available in safari areas such as the Masai Mara National Park in Kenya. Understandably, some people may have concerns about taking their young children on this kind of holiday, as although the experience has a very good track record for safety, you are after all getting quite close to various large animals! Worry not, however, as you can ensure the total safety and enjoyment of your family members of all ages if you take certain key points into consideration while booking. Comfort is a major issue for a fun family holiday. Small kids need to stay happy to get the most out of the trip, so pick a country that has high quality roads. South Africa is a great choice – with the high quality infrastructure you can easily get around, even using a rental car for maximum flexibility in between tours. Also, South Africa has fewer issues with diseases such as malaria (caught from mosquito bites and common in central Africa) so you won’t have to worry about unexpected and dangerous illnesses. If you want to see the classic safari parks such as the Serengeti and the Masai Mara (both of which are in Kenya) then one thing you can do to make your trip more enjoyable for small kids is to combine a safari with a beach stay. Mombasa is one of the world's premier seaside cities, and has been a luxury destination for many decades. If you wish to stay near Mombasa, then the Tsavo National Park nearby makes for an excellent choice for safari, albeit on a slightly smaller scale than the main Kenyan parks. Botswana is another high end destination, with many fly-in options for safaris available, making this one of the quickest and simplest choices. Of course, when booking you need to ensure that the company you are using is happy to take children as well as adults. This can easily be checked before booking, either by looking at the terms and conditions or if this is not clear, by getting in touch via phone or email. It's always best to verify before parting with any money to avoid unfortunate surprises once you get there! The safari experience is highly exciting to adults and older kids who know a thing or two about nature, however it can be a little tiring for smaller children. One thing that works great for making your kids more involved is to give them binoculars or a camera. This brings the action closer to them and also helps create unforgettable memories of your holiday. 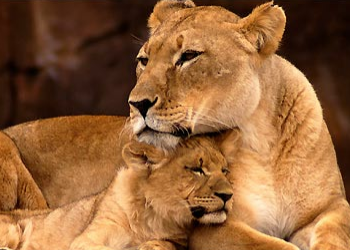 For more information about booking a family friendly safari holiday, speak to The Ultimate Travel Company who have experts that can tell you all you need to know and plan every detail of your trip for you. Find out more information at The Ultimate Travel Company family holidays page.